We really enjoyed this project! 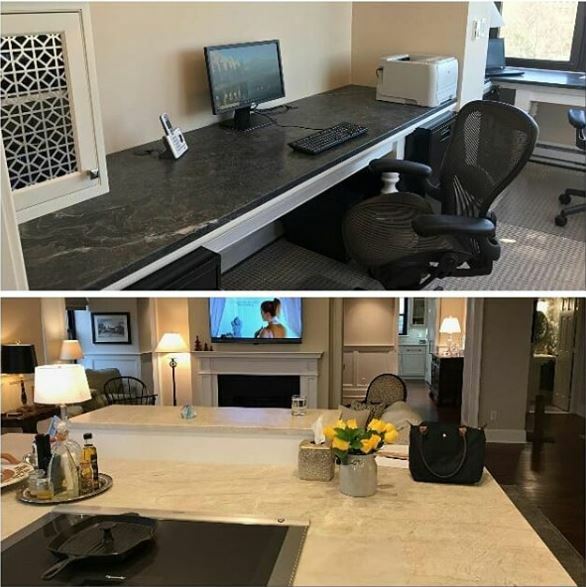 We had the chance to customize a countertop and desktop in a client’s home. Both are made of custom-fabricated slabs of stone. The counter is quartzite, and the desktop is marble. These custom surfaces are functional and elegant, the perfect touch to this beautiful home.